The first thing to be harvested from the garden each year are vibrant green chives. I love to see these poke through the ground, sometimes they even make it through the snow. Flowering chives are a very pretty element of the herb garden. My kids like to grab a chive while playing in the yard and snack on it. I do that same thing once in a while! Chives have an oniony flavor. I sometimes use them instead of green onions. Early in the season the flavor is more mild, later in the season the oniony-ness becomes stronger. It’s easiest to snip the chives with a kitchen scissors. This is also the tool I use to harvest them out of the garden. I cut them about an inch from the soil. 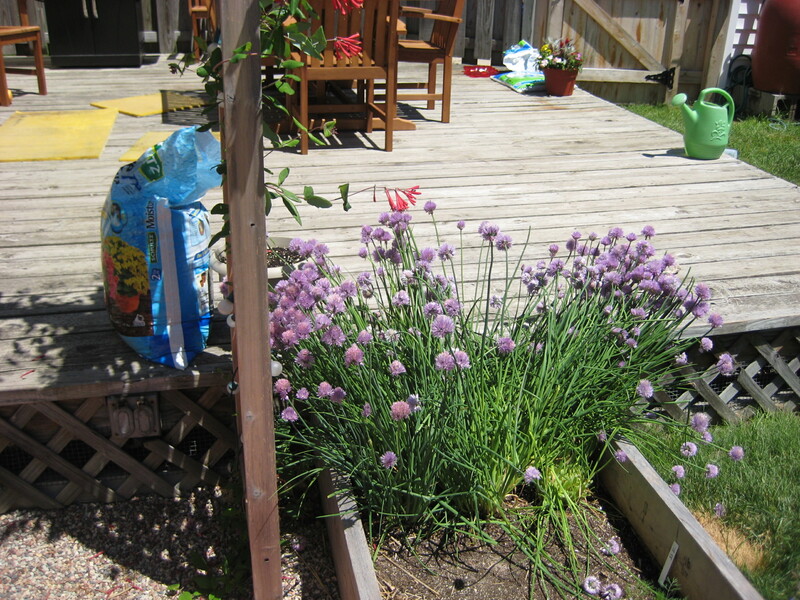 They continue growing, so I can cut fresh chives for the entire growing season and never run out. 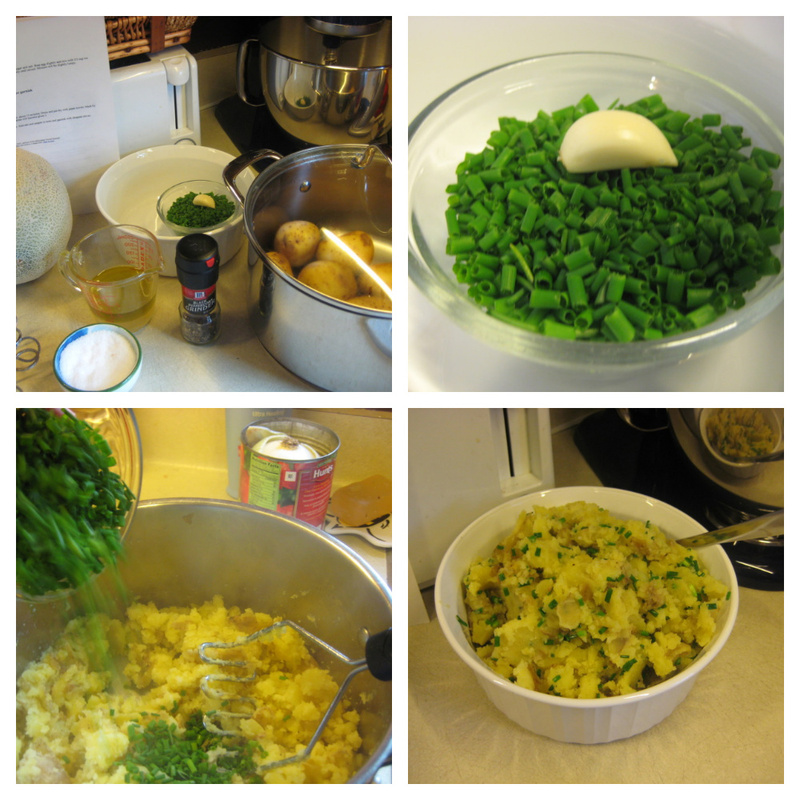 This week I made Smashed Chive Potatoes from a recipe I clipped out of the newspaper in 2005–before I even grew chives. I just knew I’d have a garden someday and was always clipping out recipes to use in the future. Now I have a virtual library of clippings. It’s a bit chaotic, but also fun, to go rifling through the recipes and I feel so happy when I come across just the right one. The recipe does not exist online (that I can find) so I’m sharing it here. I really enjoyed it! And my family did too. Add chives, olive oil, chicken broth and garlic, and mix. Add salt and pepper to taste and garnish with chopped chives. Makes about 4 servings. This is a one pot smashed potato recipe that makes tasty use of fresh chives.